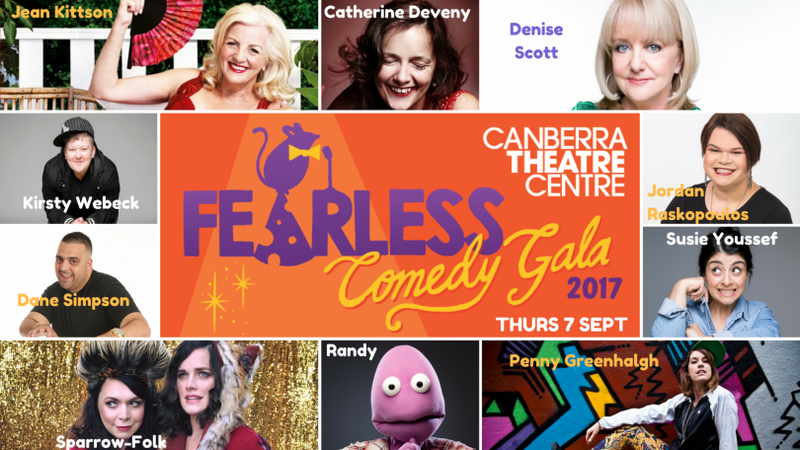 Following the success of last year’s Fearless Comedy Gala, Juliet Moody has announced the 12-act line up of this year’s performances, set to take place at the Canberra Theatre Centre on Thursday 7 September at 7:30 pm. Juliet, a local comedian who has performed nationally and internationally, rose to fame when she and friend Catherine Crowley entered and won the 2013 EXHUMED Canberra competition with their hilarious song about being short titled ‘Fairy Penguin’. Known under the name Sparrow Folk, the ukulele-playing duo then went viral after creating a YouTube video about breastfeeding in public, titled Ruin Your Day. The pair has since travelled around Australia and overseas, performing at numerous comedy festivals and meeting many of the country’s best comedians. Having been a victim of domestic violence almost 10 years ago, Juliet has always had a place in her heart for local organisations that support domestic violence victims and their families. She had been actively searching for a way to raise money for them, when a bright idea sparked while performing overseas at the Edinburgh Fringe Festival. 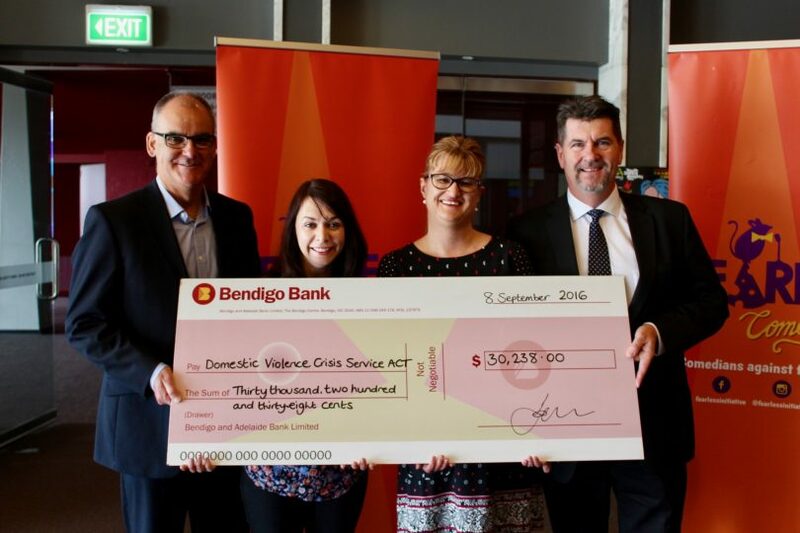 The 2016 Fearless Comedy Gala, sponsored by Canberra Community Bank® Group, donated all proceeds (over $30,000) to the Domestic Violence Crisis Service in the ACT. Juliet says the proceeds from this year’s Gala will be donated to DVCS and Toora Women Inc. The focus will be on the impact family violence has on children, and Juliet has already connected with a number of schools and looked at how they can donate to programs that specifically support children with resources and counselling. With glowing reviews from last year’s Gala, Juliet has promised a spectacular line-up this year too, guaranteed to have everyone in stitches. Fearless Comedy Gala is on Thursday 7 September at 7:30 pm (please note this is not suitable for children). Tickets start from $49 and can be purchased from Canberra Theatre Centre. To learn more about Canberra Community Bank® Group grants, pop into any one of their branches in Calwell, Curtin, Jerrabomberra or Wanniassa.